We’re sure you’ve seen our Things to do This Half Term post but there’s just so much out there that we’ve decided to do another one! This time, we’ve decided to focus on the free things that are free for kids to do (and eat) this Half Term, all you need to do is get yourselves there! Kids Go Free Over Half Term To The ArcelorMittal Orbit! 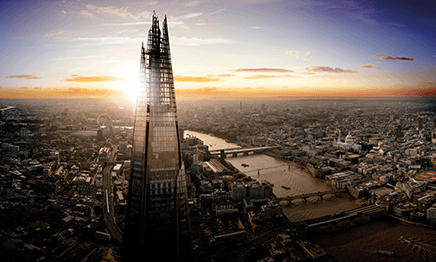 Staggering Views Of The City, Stand On Top Of The Tallest Sculpture In The UK! La Tasca – Offering a fresher, healthier alternative to fast food, that the kids will love to share and enjoy. Kids eat free (under 8s) from the childrens menu with each full paying adult who has spent a minimum of £10. Available all day on Sundays. TableTable – Free mains for kids (12 and under) when an adult orders a main from the main restaurant menu (1 free kids meal per adult) . Every Monday-Saturday before 5pm (junior meals are not included). Gillray’s, London Marriott County Hall – Special kids Eat Free Menu where 1 child under 12 eats free when dining with 2 adults between 11:30am and 5:30pm. Tom’s Kitchen – With their special kids’ menu where kids eat free at weekends. We recommend the Somerset House Deli, a Wonker-esque treasure trove choc full of sugary wonders. Rivington Grill Greenwich – Right next to the Picturehouse Cinema they have a delicious Kids Eat Free menu available Mon-Sat 12pm-7pm. British Museum – In The Gallery Café you can get 1 free child’s (under 12) meal when you buy an adult main meal. Hix restaurants – Kids aged 10 and under eat for Free when dining off the calves menu and accompanied by an adult dining in the restaurant. Available 12pm-6pm. Tate Modern Café – Kids (under 12s) can eat free in the café when an accompanying adult buys a main course from the menu. Bodeans – Kids eat completely free up until 3pm on weekdays and 5pm on weekends. Desejo do Brazil: Kids under 4 eat free at the buffet. Roast Restaurant – Free meals to children under 12 during all school holidays – each child must be accompanied by an adult. Benugo: Barbican Kitchen – Kids eat free all day everyday! T&C: One main meal per every free kid’s meal given. Benugo: Riverfront Bar and Kitchen – Enjoy free babyccinos for your little ones with a £2 coffee at the Riverfront Bar & Kitchen – just show your family cinema ticket to redeem offer. Plus Kids Eat Free at Riverfront Bar & Kitchen – one free kid’s meal with every adult’s meal. Roka – Free Kids bento box, be sure to check out their play area with plenty of toys to keep them occupied. Sophie’s Steakhouse Covent Garden – Children eat free on Sundays. The Brasserie Restaurant – In The Tower on St Katherine’s Way, Kids eat free. Very nice! These seem great places! I am so excited to visit them. Thanks a lot for the great article.